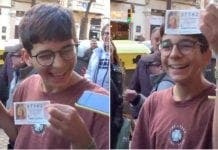 Lottery fever is back, Spain! 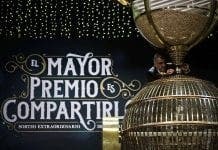 Two American lotteries are offering incredible jackpot prizes just in time for the New Year and you, too, have a chance to win them from Spain! The Powerball jackpot is currently $384 million USD (€323.6 million) while the Mega Millions jackpot is set at $306 Million USD (€257.9 million). Powerball is regarded as the most popular lottery on the globe, ever since it set a world record by awarding a $1.58 billion USD jackpot in January 2016. There is no need for you to travel from Spain to the United States to take a chance on winning the Powerball and Mega Millions jackpots. It is possible to play from anywhere by purchasing official tickets at theLotter, the leading online lottery ticket messenger service. 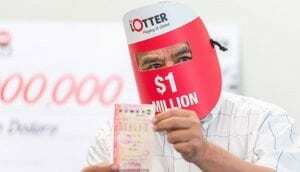 So how can you play Powerball and Mega Millions from outside the United States? You can register at theLotter and purchase official lottery tickets to play Mega Millions and Powerball, or any of the other 50+ lotteries from around the world on offer. theLotter’s local agents in the United States will buy tickets on your behalf. The website charges a transaction fee and in return, you will get a scan of your tickets before the draw. When you win a prize, it is entirely yours as commissions aren’t taken from winning tickets. The system works, as can be seen in the stories of two lottery players—one from Panama and one from Iraq—who won huge jackpot prizes without ever setting foot in the United States. Despite being retired, Aura D. from Panama had continued working to support her kids. She had only been playing with theLotter for about two months before she scored her big win—the first place prize in the Florida Lotto. Aura was the sole jackpot winner in a July 2017 draw, entitling her to the entire $30 million USD jackpot minus taxes. Baghdad resident M.M. had been playing lotteries at theLotter for only a few months when he won the $6.4 million USD Oregon Megabucks jackpot in August 2015. The Iraqi’s lottery win was such a unique story that it was reported in the New York Times, the Daily Mail, NBC, CNN, and the Associated Press. All publications noted that it was perfectly legal for foreigners to win American lottery prizes by purchasing official tickets online at theLotter. Players everywhere are impressed by how easy it is to purchase official lottery tickets online and they have come to trust the purchasing services of theLotter. Over the years, theLotter has paid out over $85 million in prizes to more than three million winners from across the globe. With the Powerball jackpot currently at $384 million USD and Mega Millions at $306 million USD, you, too, will probably be eager to fulfill your dreams of lottery riches. And that is now possible without a need for you to leave the comfort of your home in Spain. For more information how to play the Powerball and Mega Millions lotteries online, please visit theLotter.com.